The fourth of our X470 previews is the gaming focussed ASUS Strix X470-F Gaming. 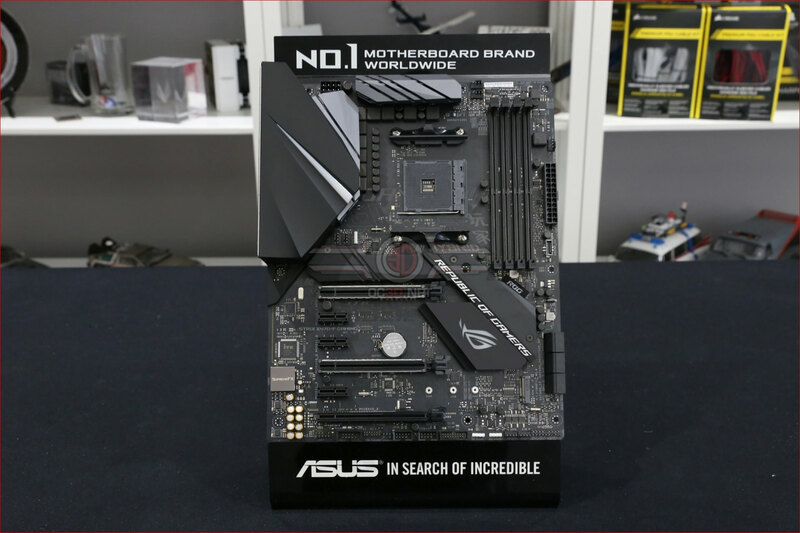 By now the pattern should be familiar, this is an AM4 motherboard that supports both the original Ryzen CPU as well as the upcoming 2nd Generation models that come with the Vega integrated graphics. Regular readers will know that we're big fans of the Strix range as it hits the price/performance sweet spot so beloved of the majority of users. We all might dream of flagship models, but the Strix has enough features to keep you satisfied whilst leaving a little wiggle room in the budget to upgrade another element of your build. Without further ado let's see what the Strix X470-F Gaming has to offer, and remember to come back next week when we'll be bringing you our full review. The ROG Strix range has quickly established itself as one of the most instantly recognisable packaging designs around. That bold, multi-coloured ROG eye logo stands out a mile. There is a clear product image on the front whilst the reverse highlights all the key features you can expect if you dip your toe into the 2nd Generation Ryzen waters. As always with a ROG motherboard there are a lot of extras in the box. As the Strix is more of a gaming brand than the Crosshair they do tend to lean more in that direction rather than the fuller set we saw with the Crosshair VII Hero, but still every box is ticked. Such is the rich featureset of the X470 chipset a lot of the motherboards we've been looking at so far in our preview have very similar features, with just the manufacturers individual tastes and designs separating them. The Strix perfectly replicates a lot of the other models in the Strix range, perfect if you've already got your system set up based upon those looks and just want to move on to the X470 platform.